An innovative thermal mug in a unique outer sleeve. Stylish visibility for your brand guaranteed with this trendy mug on the go. 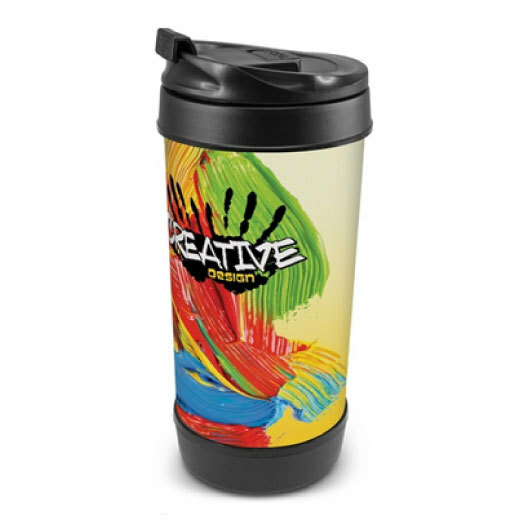 This innovative thermal mug has a 450ml capacity and features a unique neoprene outer sleeve making it very comfortable to hold. 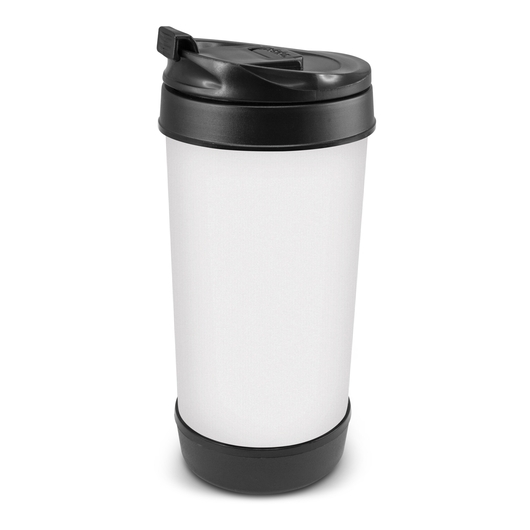 It has an impressive insulation capable of keeping drinks hot and cold for longer hours. 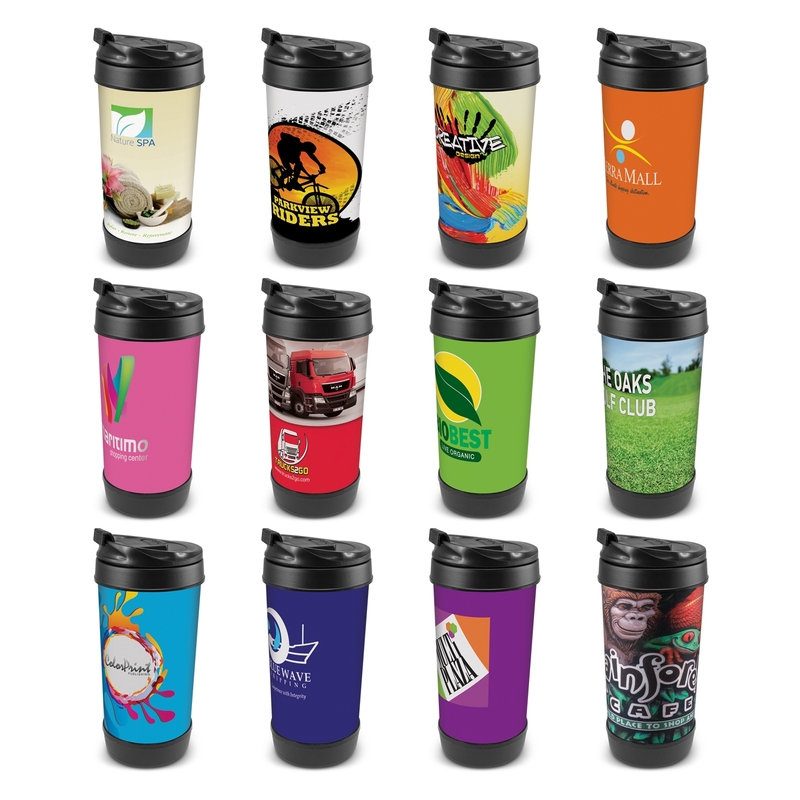 Its unique sleeve comes with a vertical stitching and allows for full colour wrap around branding giving great leverage for your branding needs.